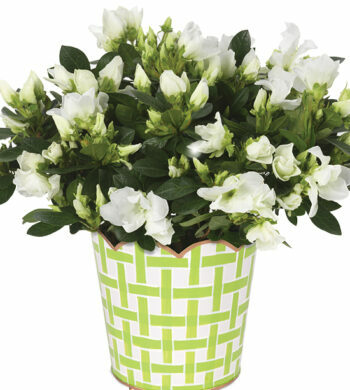 Multi-blossomed azaleas are always among our most popular gifts. 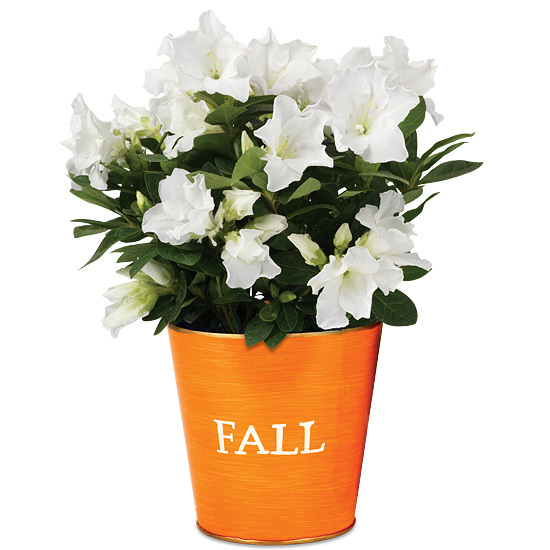 This new azalea offering is a special variety with pure white blossoms that arrive in bud and bloom, planted in a 6″ grower’s pot. Dressed in our autumn orange metal cachepot hand painted with “FALL,” the hearty plant, with proper care will continue to blossom season after season. A fresh, airy, and sweet surprise that blends country, cute, and chic.